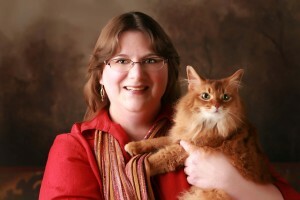 Katherine Dobbs, RVT, CVPM, PHR, began as a registered veterinary technician in 1992. She then held positions in veterinary technology and client services in general practice and referral (specialty/emergency) practice. In 2006 she became a Certified Veterinary Practice Manager (CVPM) through the Veterinary Hospital Managers Association (VHMA). Also in 2006 Katherine founded the Veterinary Emergency and Specialty Practice Association (VESPA), a professional organization that worked to meet the unique needs of those managing in emergency and specialty medicine. In 2008, she created interFace Veterinary HR Systems, LLC, a consulting company that focuses on professional development and performance management in the realm of human resources. Katherine became a Professional in Human Resources (PHR) in June 2008, furthering her studies of how to help the people involved in veterinary medicine. She became a Compassion Fatigue Specialist in 2009, and a Certified Compassion Fatigue Educator in 2013. Katherine has been published in various veterinary journals in the United States, UK, and Canada, and has published two books through AAHA Press. She teaches on the Veterinary Support Personnel Network (VSPN), and her public speaking experience includes many national, regional, and state meetings and conferences. Katherine was voted the 82nd Annual Western Veterinary Conference Practice Management Continuing Educator of the Year in 2010.